As I stood there behind the podium of an auditorium at the university in Oslo, I looked around the room and saw the faces of all the delegates that would either vote for me or for my opponent. We had three rounds of questions, mainly because neither of us were getting the majority of votes. It was a hard day’s night. We get back to our seats to vote for the third time and then they announce it. “The newly elected National President is… Jose de Pool”. My heart leaps and I am filled with both relief and a nervous energy that refuses to leave my body. What on earth did I just get myself into, I wonder. People often assume that I ran for the position I am in because I wanted a challenge. Or I wanted the position, the name and the “glory” that came with it. The truth is, I did it out of a sense of duty. I saw ISU’s need for a good leader, for someone that was willing to shake up the organization and make it better. Not only from an outside perspective, but also its internal operations. Navigating the world of student politics was confusing enough, but soon I started meeting rectors, ministers and other organizations. Every speech had to be rehearsed, every talking point discussed beforehand. There was nothing more rewarding for me that when we finished a project, or an application. Long hours were spent discussing, planning, double-checking everything. The work that goes into planning a Leadership meeting can be exhausting, yes, but there is nothing more rewarding than that final Sunday where the delegates are full of smiles, happy about the entire process. Of course, there are always improvements to be made as well. It’s okay not to achieve perfection, but it’s never okay not to aim for it. I have had to make many hard decisions, but the beauty of the National Board is that you never make decisions alone. Everyone gets a vote. Every vote has the same weight. Democracy at its finest. The important thing is to rely on your team. I am happy to say that I have had many people I can rely on, and I’d like to give a special shutout to my UDO, OC, Treasurer and Political Auditor. From student policy summits, to partner meetings, to embassy receptions, this job is filled with interesting people from all over the world that you’ll meet along the way and have a chance to establish a meaningful connection. Look, I am not going to lie to you and say that the job is easy. I am not going to lie to you and say that your studies won’t suffer because of the job or that you’ll everyday sleep 8 hrs. The whole truth is that this job is very much what you make of it. You can do almost nothing and remain in the job for a year, simply passing the time. 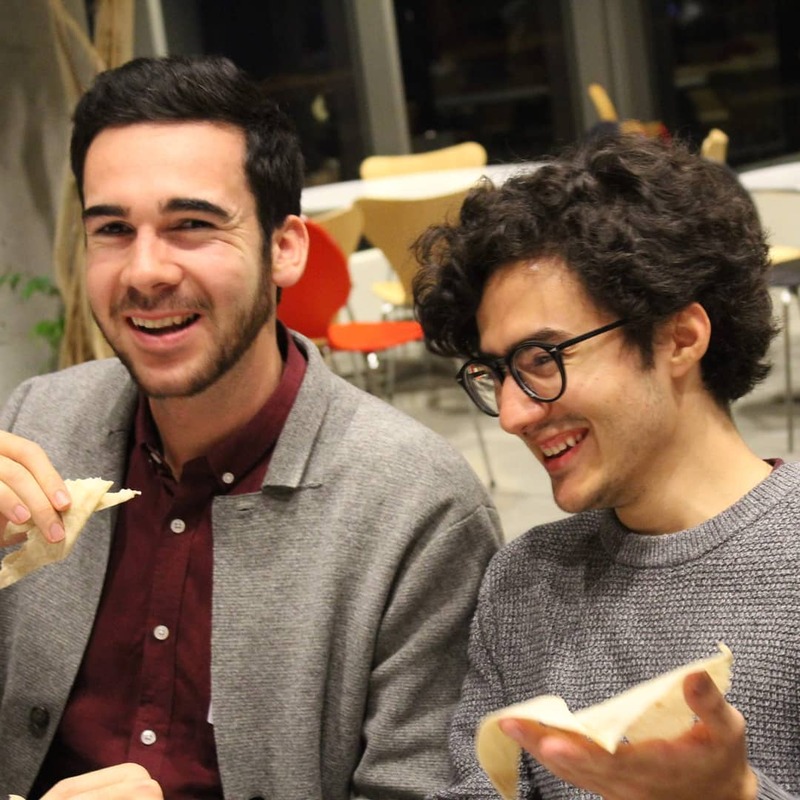 Or you can become a part of the national board or our helpful, important committees, so that you try to make a difference for all the international students that live in Norway. "To do nothing is often the best course of action. But history was not made by those who did nothing." 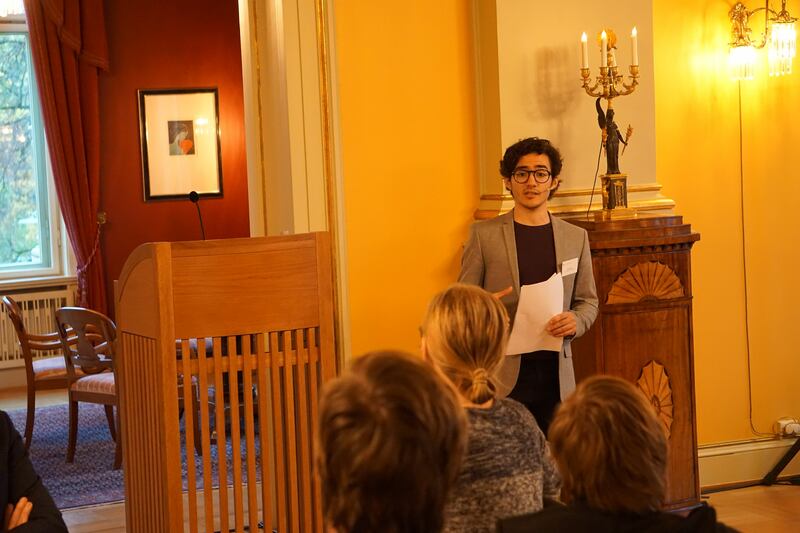 Read more about the positions and how you run for elections to ISU Norway's positions here. Also read more about the National Assembly on May 3rd - May 5ht here. National President Jose De Pool with Union Development Officer (UDO) Sam Davis at Leadership Meeting 1 in Stavanger, October 2018.